Product Name: Bunch Dried Lavenders Product Color: Purple Product Material: Natural Lavender Total Length: 50 to 60cm/19.7'' to 24'' inch Approx. 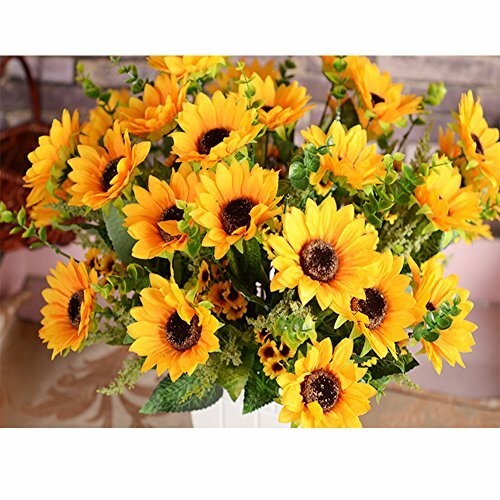 Package Included: 100 stems or 200 stems or 400stems or 800stemsDried Lavenders Flower Note: Please note that all the sizes and colors may have a little deviation by manual measurement and display screen. WHY WE NEED FLOWER IN OUR LIFE? Flowers are such full of joyful and energetic. They are known to make people better and happier and they are sunshine, food and medicine for the soul. 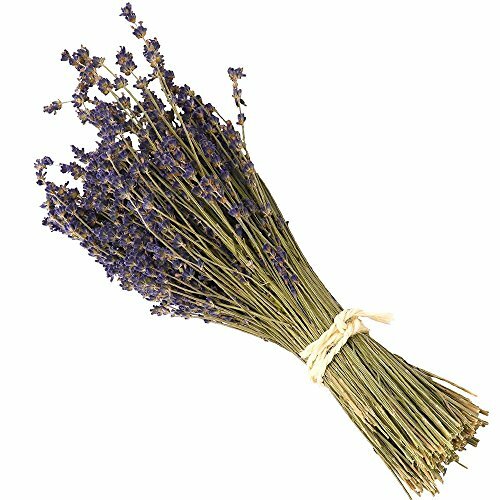 THE FEATURE OF WIGA LAVENDER BUNDLES: Farmers picking, air natural dried lavender, flowers are not exactly the same as every one. But each sticks of flower be beautiful and unique. FUNCTION: - Works great as a closet or room freshener - Aromatherapy to relax and to help you fall asleep easily - It's antiseptic and keeps moths away from your expensive clothes. 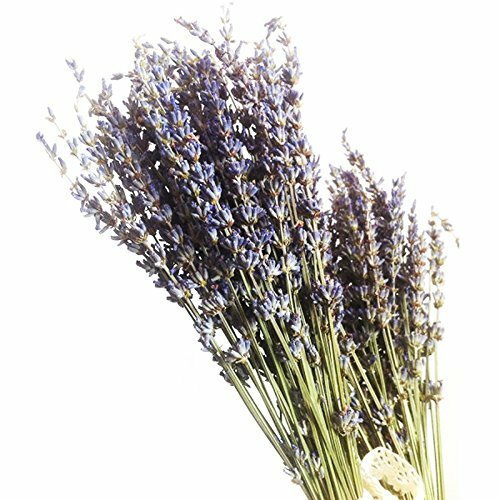 - Beautiful decor for your home or an event - Makes a unique gift that will last a long time NOTE: 1.Please be aware that even though we have taken every precaution possible to ensure your lavender arrives intact, some buds may fall off during transit. This is normal, and these fallen buds can be stored in a cloth bag and used as a fragrant sachet. 2.Please note that all the sizes and colors may have a little deviation by manual measurement and display screen. 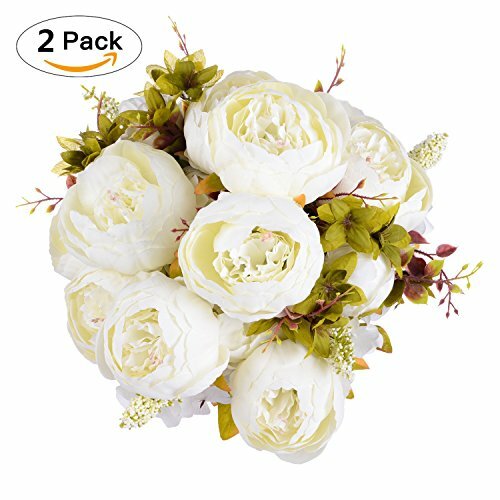 Our AmyHomie artificial flower bouquet can be use to decorate wedding, rooms, countyards, and any place you want to decorate. 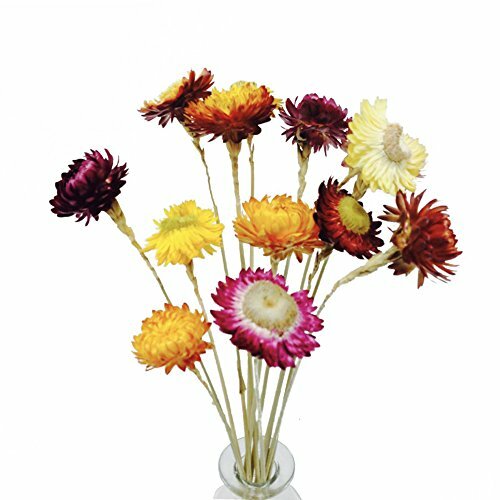 They can add some romantic elements into your life and colorful your life. Welcome you to buy it.Attention notice: 1.Please gently spread the item after getting it, in case of falling the leaves and flowers. 2.There would be accumulated dust if you put it in a place for very long time.You can use the hair dryer with cold wind to remove the dust. 3.If it was seriously dirty,you could sink it into salt water with high concentration for 10 minutes and then add neutral detergent and then rinse twice. 4.Don't wash it by hands. We suggest that you don't need to wash it by hands and don't wash too frequently. It will fade if you wash it too frequently. 5.Please don't put it under strong sunshine.You'd better to dry it by the natural wind. Warning:AmyHomie is a registered trademark, ONLY Authorized seller of AmyHomie can sell under AmyHomie listings. AmyHomie is committed to provide each customer best service. if any questions ,Please don't hesitate to contact us. 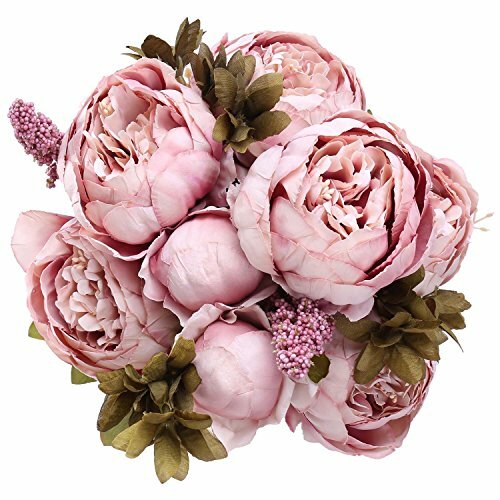 It is very suitable for Home and Wedding Decoration Friendly Suggestion: 1. Please gently spread the item after getting it, in case of falling the leaves and flowers. 2 .There would be accumulated dust if you put it in a place for very long time. You can use the hair dryer with cold wind to remove the dust. 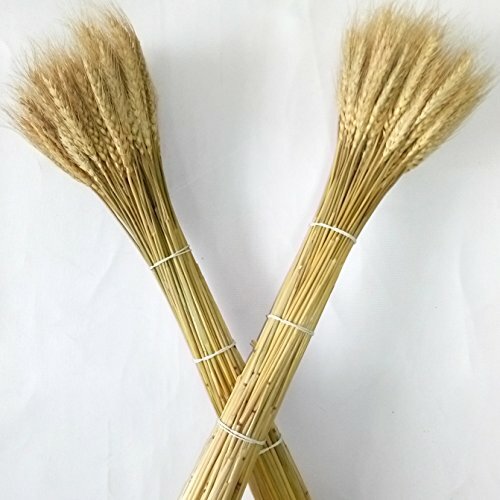 3.Dried wheat grass, please keep it dry, or it will mold and get dark 100% brand new and high quality Material: Natural Dried Wheat Grass length: 60-70cm/ 23.62"-27.55"
Curly willow available in fresh-cut (December-March) or dried, 3 to 6' tall. 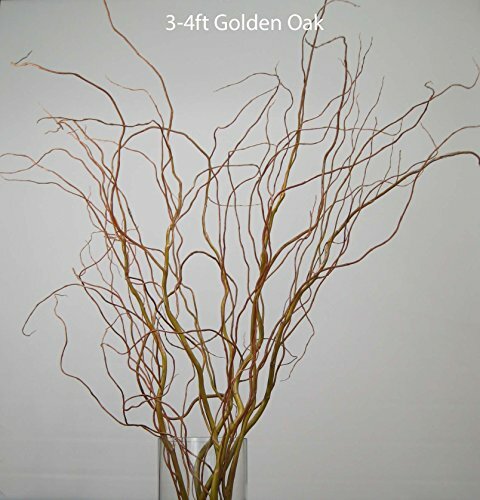 Fresh cut willow branches are shipped live and will retain their freshness for weeks, drying slowly to a darker shade of their fresh color. Dried curly willow are available year round. If you order Dried willow in the winter, it may still be fresh when you receive it, but will dry in a few weeks. 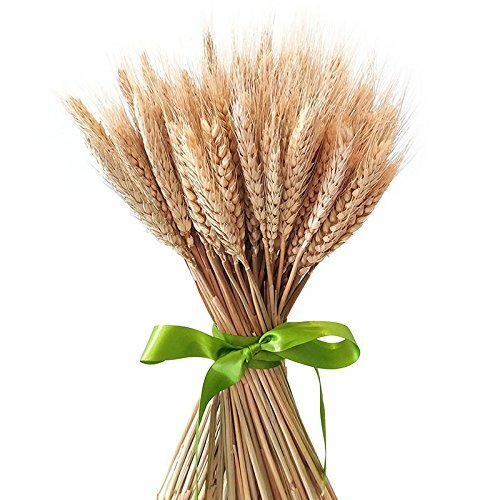 Dried wheat sheaves make a unique addition to your country style decor. Symbolic of a bountiful harvest, these heavy-headed sheaves of wheat can be arranged in many ways to fit your home. Natural wheat sheaves make a great decoration that can used for fall or Thanksgiving. No matter how your decide to use your wheat, we know you will love the look it gives your finished product. Looking for more Dried Flower Bunches similar ideas? Try to explore these searches: Lizard Dangle, Shine Wash, and Gardenia Scented Body Lotion.